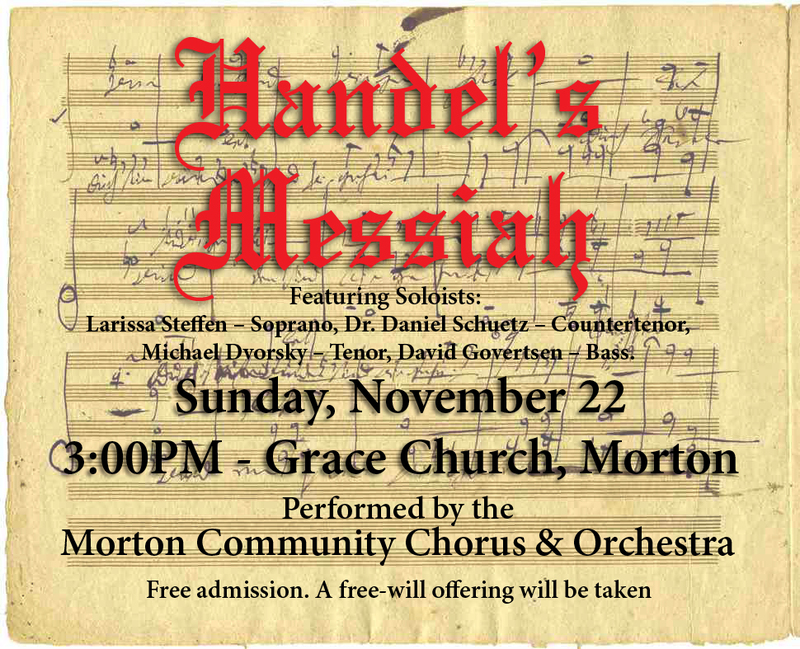 The Morton Community Chorus, of Morton, IL, has been performing Handel's Messiah annually for many, many years. Although, "Morton" is in the name, it is perhaps a misnomer, as people from all over Central Illinois regularly participate in the choir and orchestra. Messiah was performed Sunday, November 22, 2015 at Grace Church in Morton, IL. See a few pictures and videos of our 2015 performance here. The date for our 2016 performance has not yet been announced. Concerts are free and open to the public. Although Grace Church graciously allows us to use their beautiful sanctuary, Messiah is a community event, performed by the Morton Community Choir and Orchestra. WBNH FM Radio produced a spot which can be listened to here. A copy of our 2015 poster/postcard can be seen here. WCBU FM Peoria Public Radio and Arts Partners of Central Illinois radio program "Out And About" interview with Phil Witzig regarding Messiah 2015 here. Larissa Steffen, Soprano – Larissa studied music education at Illinois Wesleyan with voice as her primary instrument. Dr. Sammy Scifres was her vocal instructor. Larissa soloed in Messiah 2013. Dr. Daniel Schuetz, Countertenor – Daniel teaches voice at Illinois State University, following in the footsteps of his father, Peter. This is the first year we’ve had a countertenor and I’m super excited to be making music with such a beautiful, yet powerful voice, and a friend besides. Mike Dvorsky, Tenor – Mike works at Caterpillar as an engineer, and music is definite passion of his. He is a regular soloist and tenor section leader for the Peoria Area Civic Chorale, and has been our tenor soloist for the past 3 years. Mike studies voice with Shirley Salazar, a well-known vocal coach in our area, and has a very natural and flexible tenor voice which works so well with the Baroque rep.
David Govertsen, Bass – David sang the Bass solos in the Washington, Illinois tornado victim Benefit Messiah concert put on by the Peoria Symphony a couple years ago. David has sung numerous roles with the Chicago Lyric Opera, and made his Carnegie Hall debut in 2011 as the Herald in Otello with the Chicago Symphony Orchestra conducted by Riccardo Muti. He is an alumnus of both the Santa Fe Opera and Central City Opera apprentice programs and holds degrees from Northwestern University, Northern Illinois University and the College of DuPage. Another person I would like to mention is Dr. John Orfe, of Bradley University, who joined us for the very first time this year at the organ. A talented musician and dedicated composer, Dr. Orfe came to Bradley University in 2008, where he teaches music. He is also extremely involved in the music performance community, actively performing with several music ensembles, including a new music ensemble “Alarm Will Sound” which he founded. Dr. Orfe plans to be back with us again in 2016. 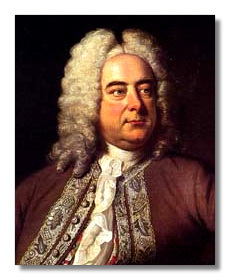 Come early to get good seats and to listen to his outstanding prelude!